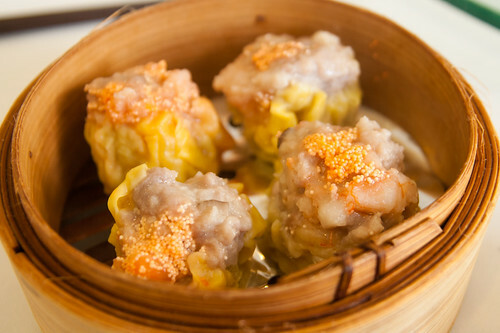 "Dim sum" means "small dishes." Think of them as Chinese tapas meant for sharing. 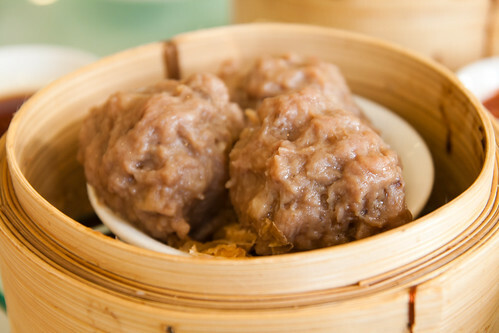 It is a style of Chinese food enjoyed at lunch time at traditional Chinese restaurants; in Cantonese, going for dim sum is called "yum cha," which literally means "drink tea," because tea is the standard beverage served with dim sum. I usually don't get too excited over dim sum, if only because I grew up going yum cha and eating the same dim sum with my family pretty much every single weekend. I got bored with that pretty quickly. Now that I live far away however, going yum cha maybe once or twice a year only when I'm in Toronto with my family, I am learning to appreciate this tradition more. To me, "yum cha" now means family time. So yes, we went yum cha as a family during my recent trip to Toronto. 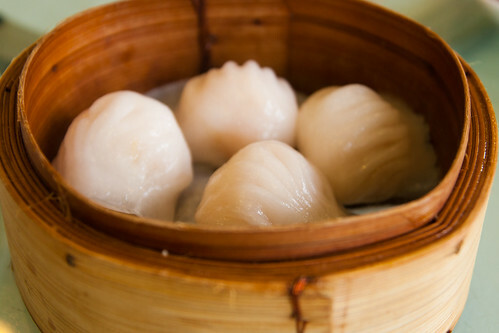 This was actually my first dim sum lunch in a year, so I was surprisingly excited for the food. My parents took us to Regal 16 Chinese Restaurant, which is one of their three go-to Chinese restaurants in the 'burb. I've been going there for years, though interestingly enough don't have much of an opinion on the restaurant itself. To me, the place is pretty typical of Chinese restaurants in every respect, but then again, my parents know their Chinese food and must think Regal 16 serves better food than some others. Honestly, my parents have never taken me to a bad Chinese restaurant, so I think my standards for what's "typical" are probably pretty high. As is typical, the menu at Regal 16 is a card with a list of items printed on it and you indicate your order directly on the card. We each took turns making our picks. 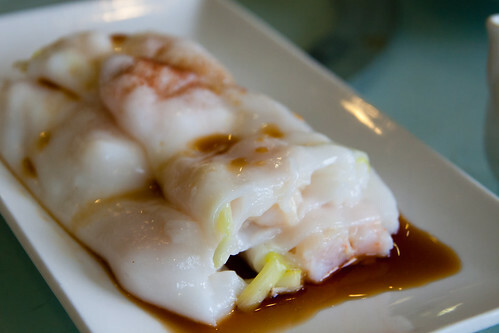 "Ha Gau" (steamed shrimp dumplings), "Siu Mai" (pork, shrimp, and mushroom dumpling topped with caviar), and "Cheong Fun" (rice noodle roll filled with meat) are pretty standard dim sum fares. 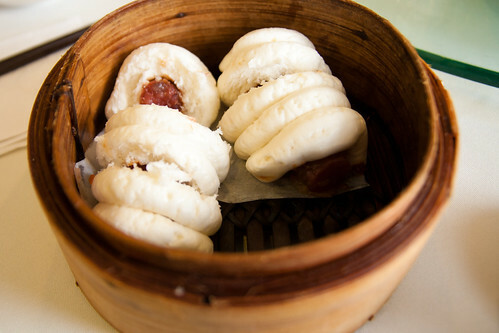 It's not yum cha without them! 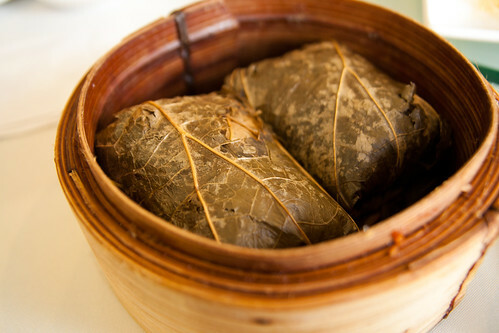 Three of my personal favorites are the meatballs, the turnip cake, and the sticky rice wrapped in a lotus leaf. The steamed beef balls are served with Worcestershire sauce, which in my opinion is ironically what makes these Chinese meatballs awesome. I love turnip cake, which is basically square slices of gooey "cake" made with rice flour with shredded radish and diced dried meat inside. 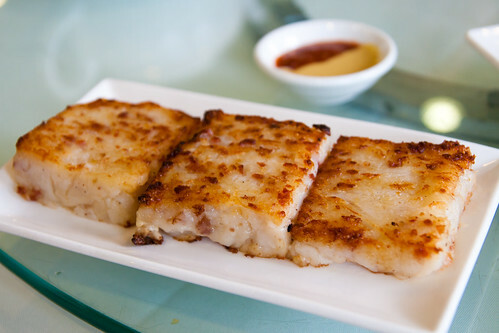 Turnip cakes are usually pan fried, which is how I like them, though they can be steamed as well. 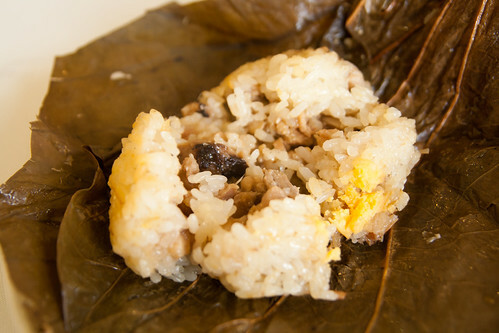 Another item I almost always request is a moist sticky rice with pork, dried egg yolk, and mushrooms, wrapped inside a lotus leaf. And then there were two things we got this time that were a bit new to me: "Lap cheong" (Chinese dried sausage) rolls and spare ribs. 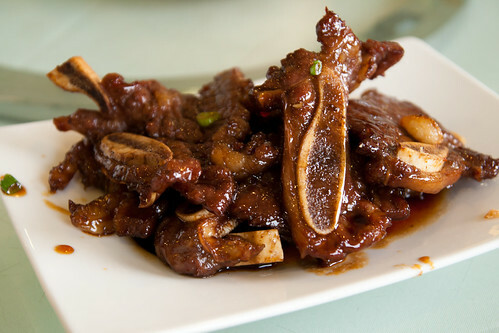 I like them, especially the spare ribs. I may prefer variety in my food, but a good old dim sum lunch with the family is always lovely.